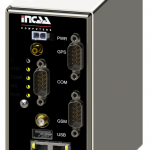 On customers request INCAA has designed and built digital I/O modules with a redundant Ethernet interface for fail safe applications. Originally developed for an Advanced-Surface Movement Guidance and Control System the module can be applied in other applications as well where safety is an issue. The module supports 32 digital I/O’s. 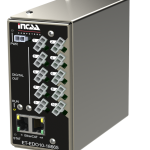 Each individual I/O can be configured to operate as output and/or input and operates at 5 V, 12 V or 48 V. The I/O’s are remotely controlled through two redundant 10/100 Base-T Ethernet interfaces by a simple communication protocol. 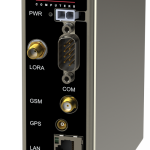 The communication over the Ethernet interfaces is monitored by a watchdog function. If no valid data is received within a configurable time the corresponding watchdog times-out and signals the I/O registers. If both watchdogs time-out the outputs are reset to a pre-configured state. The module supports standard RJ45 connectors for the Ethernet interfaces and two AMP CPC 37 pole connectors for the digital I/O’s. 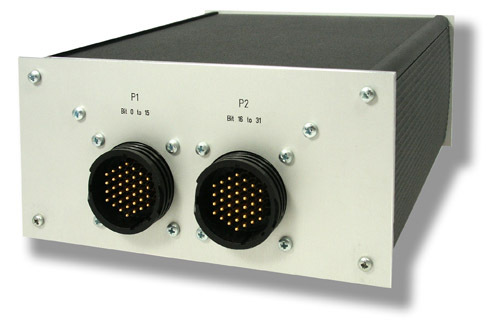 It comes in a rugged aluminum enclosure with a built-in 90-260 VAC, 50/60 Hz power supply.